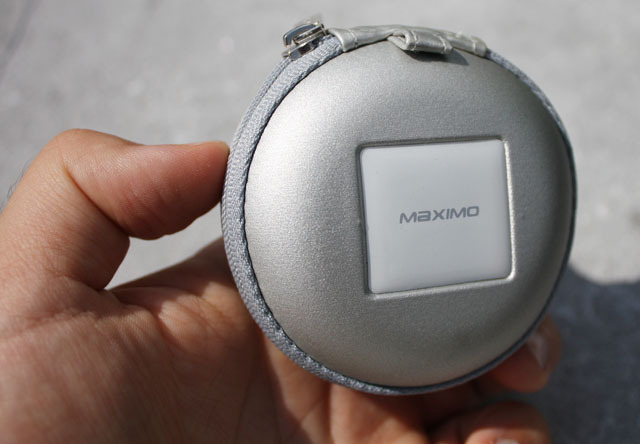 In this review I'm taking a look at in-ear earphones from Maximo, this company has been around for a couple of years and focuses primarily on the development of earphones and accessories for MP3 players and Apple's iPod and iPhone devices. 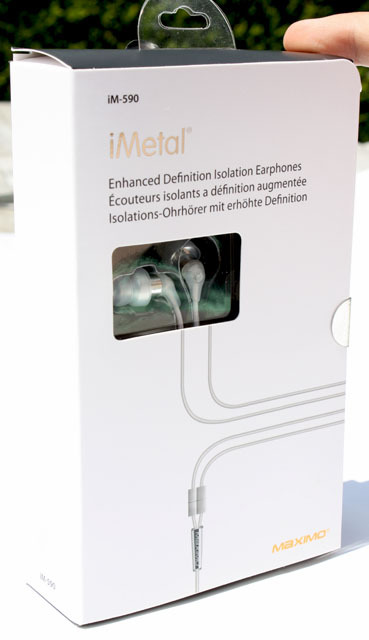 The subject of this review is Maximo's iMetal iM-590, a pair of lightweight alloy metal earphones designed for the iPod, Sansa, MP3, and airline travel. 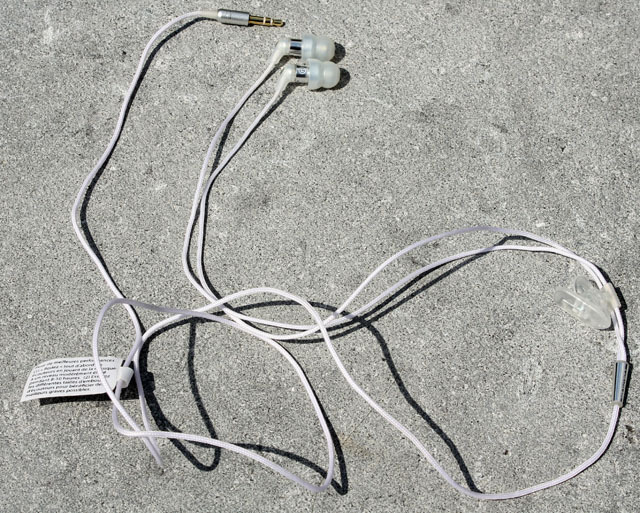 These headphones have an in-ear-canal design, this means the drivers are inserted into your ear canals. 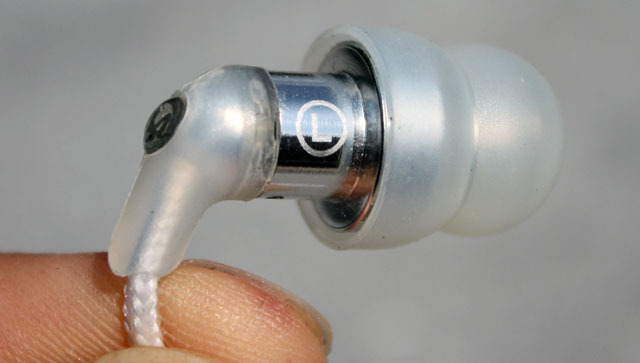 Rubber eartips are used to seal off your ear canal, this prevents sound from entering your ear canal and makes it possible to listen to your music at lower levels than with regular earbuds. Canalphones also have some disadvantages though, some people find it uncomfortable to wear and if you're planning to use it in traffic they can be quite dangerous, because they block most of the sound of your environment. 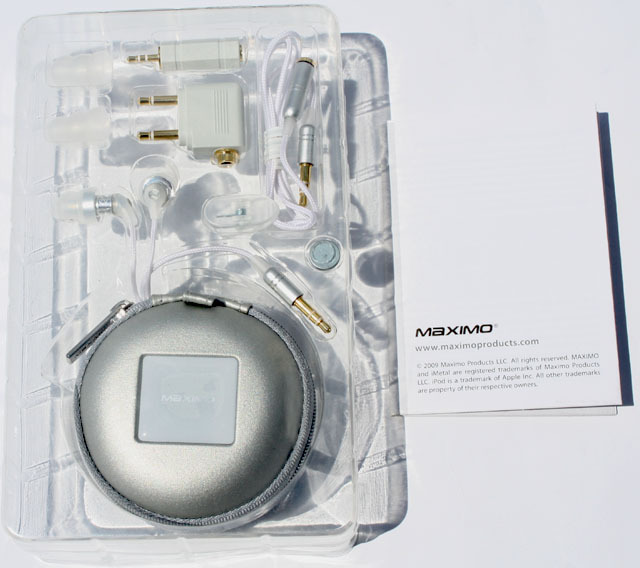 The Maximo iM-590 iMetal Isolation Earphones ship in a nicely designed box. The product is available in two versions, there's a platinum white and a graphite black model. The photos in this review are of the platinum white edition. Maximo doesn't skimp on accessories, inside the box is a carrying case with the iM-590, three additional silicone eartips, an airline dual-plug adapter, a 2.5mm stereo plug adapter, a 2-ft extension cable and a short clip. A brief user guide is also included. The carrying case is a handy accessory, it's quite sturdy and provides an easy way to safely store the earphones during transport. Storing your earphones in the case will prevent the wires from getting tangled up in your pocket, and it will also prevent broken wires. 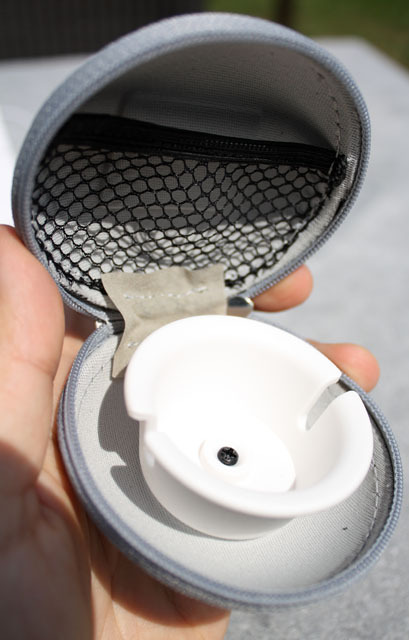 Besides the earphones, the case also has enough room to store some (or all) of the accessories. The iM-590 is pretty compact and features a metal design. 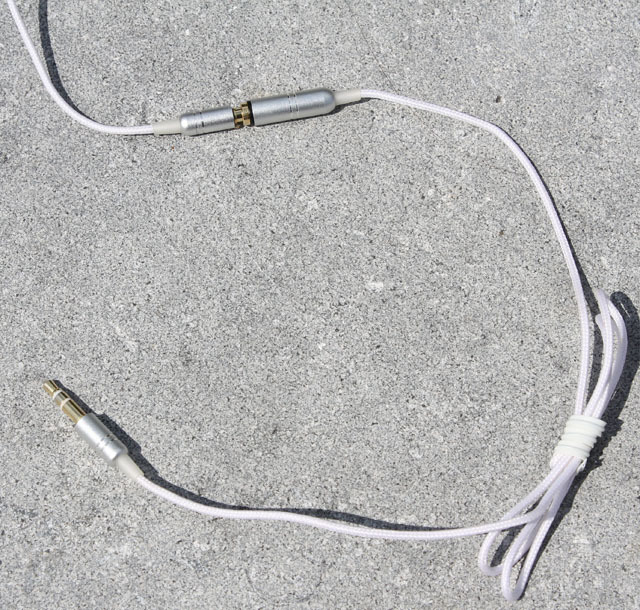 A silicone tip (four different sizes are included) slides over the driver and the cable exits the earphone at an angle through a rubber guide to prevent the cord from rubbing against your ear. The cable of the iM-590 measures about 125 centimeters. Maximo opted for a braided cable, the advantage is that this should tangle up less easily and offer better resistance to sweat and oils, but the downside is that a lot of microphonic noise travels up the cable. This can be very annoying when you're walking around, but the included shirt clip greatly reduces this issue. A 2 feet (approx. 60 centimeter) long extension cable is included, this extra length can be useful if you're planning to use these earphones with an MP3 player that is tucked away in your backpack. 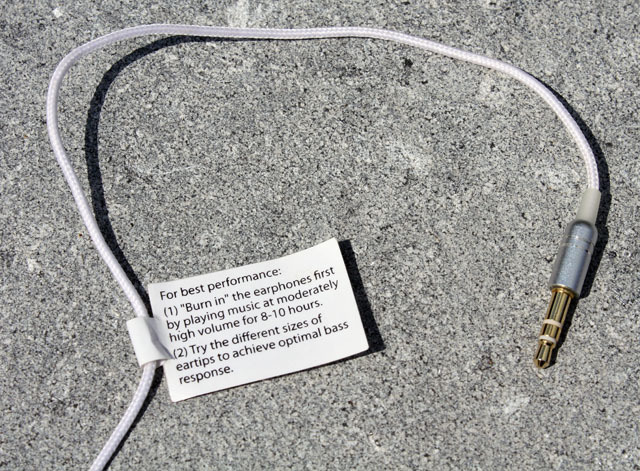 For best performance, Maximo recommends you burn in the earphones first by playing music at moderately high volume for 8-10 hours. This is quite subjective, but after burning them in for a while the sound did seem a bit richer than before, so to ensure you get the best sound quality it may be wise to follow this recommendation.